Keeping goats on the homestead can provide the family with both a steady supply of milk and protein-rich meat. 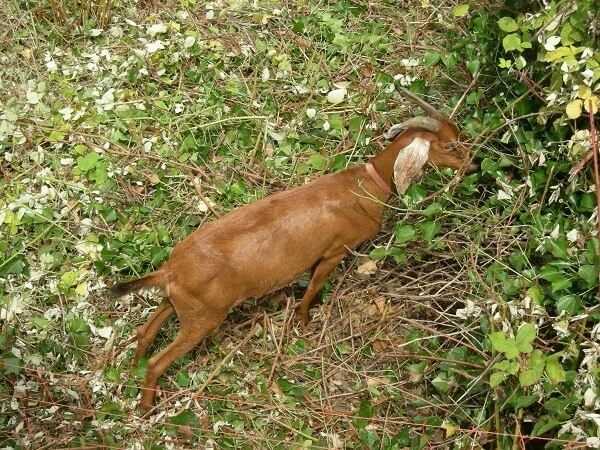 Goats are exceptional foragers, or “browsers,” and will gladly take over your brush clearing and mowing chores. Choosing the right breed of goats to keep on your homestead is vital to the success and longevity of your survival livestock plan. Some breeds of goat producing lots of milk and meat, some breeds thrive in small spaces, some breeds require lots of room, and some are hardy to specific climates. More than 200 different goat breeds exist. While any nanny goat can give milk, some breeds are far more adept and provide both better quality, and larger quantities, of milk. Meat goats don’t necessarily provide more meat than other breeds, but tend to offer better tasting meat and may mature to butcher weight more rapidly. Goat meat is far leaner than the beef produced by cattle. During good times, this might be good for your waistline, but when attempting to survive a long-term disaster, you need to put as many calories into your body as possible. A goat that produces meat with a high-fat percentage is one good way to accrue extra calories while filling your plate with protein. 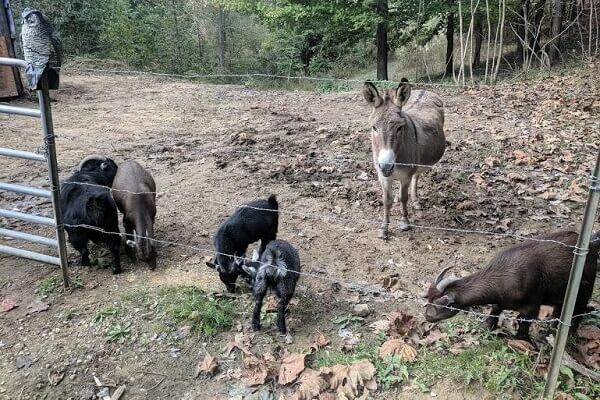 Keeping miniature donkeys with your goats will help protect them from coyote and fox attacks. Mini donkeys will kick these two particular predators for sport. Goats that are equally good at providing meat and milk are commonly referred to as dual-purpose goats. If you only have space or a budget to accommodate a small herd of goats, dual-purpose goats are the best option. There are a number of dual-purpose goats on the list below because of the bang for the buck they provide. This small stature or “miniature” goat breed is a dual purpose animal. They were bred to be meat goats but have value as a dairy goat as well. The pygmy nanny goat can provide nearly as much milk at top standard stature dairy producers like Nubians. The Pygmy breed typically producers docile Billy goats. 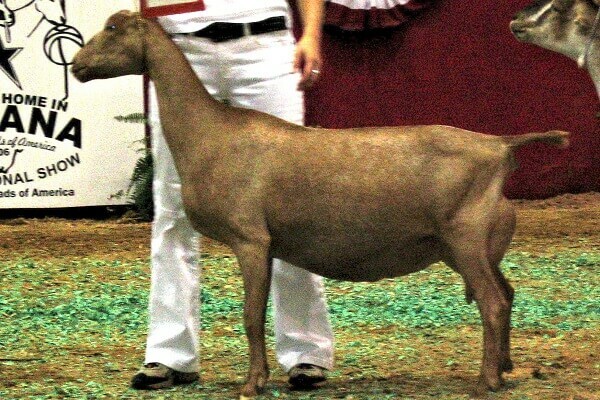 Both male and female goats in this breed are generally so easy to handle they are among the top medium livestock chosen by young 4-H members to show at their respective county fairs. These goats routinely live about 15 years and need only about 200 square feet per goat to roam. This is another quality dual purpose small stature goat breed. 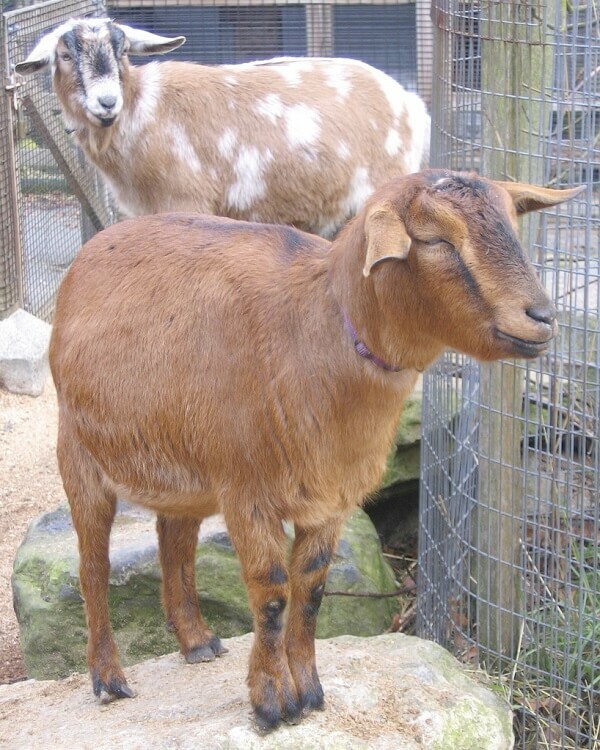 A Nigerian dwarf nanny goat is capable of producing up to 1 quart of sweet tasting milk per day. 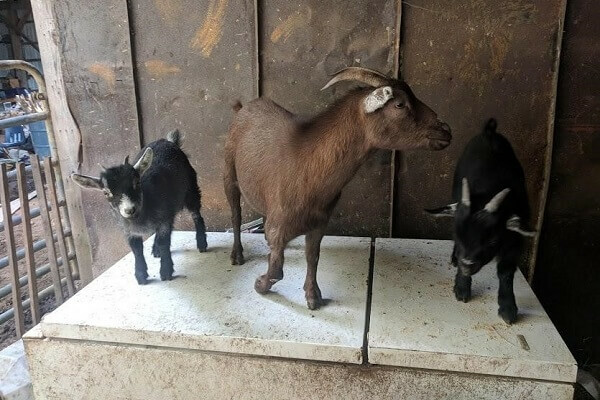 Both Nigerian and Pygmy goat breeds typically breed up to four times a year instead of the typical two times a year of most standard stature goat breeds. This goat breed is exceptionally hot climate hardy. These standard meat goats are known for both their quick growth and robust fertility rates. Boer goats boast a large and sturdy frame and were once traditionally used as pack animals – and in some regions of the planet, still are. They are one of the most popular breeds of meat goats in the United States, and should be readily available throughout the country. 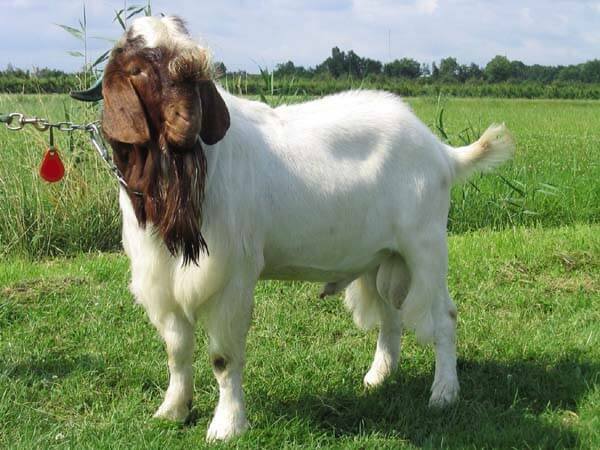 A mature boer Billy goat or wether (castrated male) typically weighs between 175 to 275 pounds when it reaches maturity. 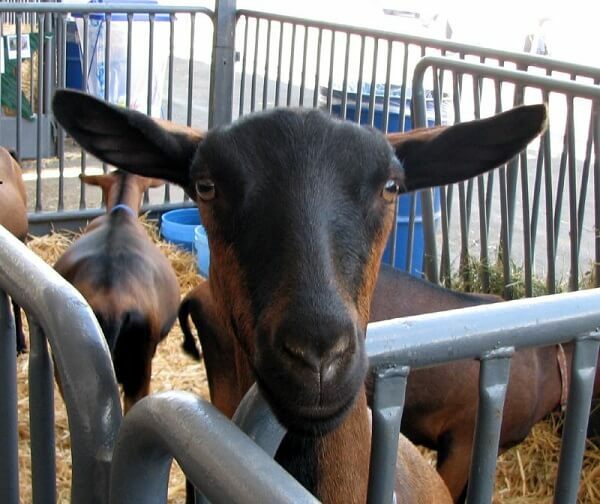 This goat breed is perhaps more commonly referred to as “fainting goats.” Tennessee goats are often thought of as merely novelty farm pets because they immediately drop to the ground and essentially faint for a few moments when startled, but they are also a quality meat goat and excellent breeders. 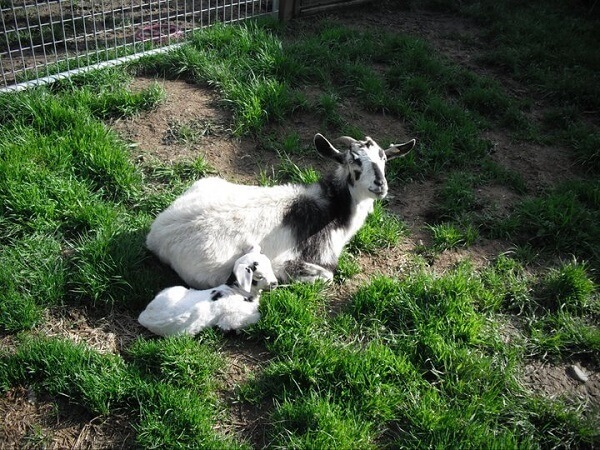 These dairy goats have been known to produce up to two gallons of milk daily. 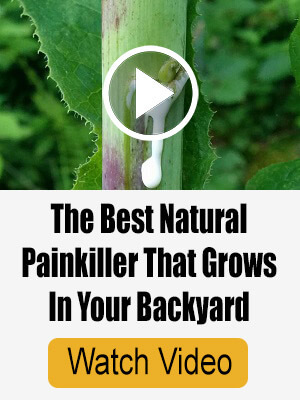 The milk has a high (3.5 percent) fat content, which could be incredibly beneficial during an SHTF scenario when putting calories into you body to increase energy and strength. This goat breed is exceedingly popular in the southern United States. Spanish meat goats have a medium yet stocky build and produce a moist and tender meat. Members of this goat breed could arguably be considered dual purpose livestock. Nubian goats are often considered dairy goats because they can produce up to one and a half gallons of milk a day, but these floppy-eared beauties are large and stocky goats that also boast ample and tasty meat as well. Brush goats are actually a mixture of several breeds that are substantially hardy and browse for their own food, even in harsh conditions. Brush goats are often also referred to as wood, briar, native, or hill goats, and are raised around the globe for their moist meat. These dairy goats are incredibly docile and known for their pet-like friendly personality. LaMancha goats are a bit odd looking due to their amazingly small ears, but what they lack for in appearance they make up for with consistently high fat (4.2 percent) milk production. These meat goats are members of perhaps the hardiest breed you could purchase. They were only introduced to America from their native New Zealand in the 1990s. Kiko goats typically sell for slightly less than Boer goats but provide a nearly equal quantity and quality of meat. Nannies of this dairy goat breed are capable of producing up to 1 gallon of milk on a daily basis. Saanen are the largest of quality dairy goat breeds. Their milk has a fat count of approximately 2.5 to three percent fat. Although not largely kept as a dual purpose breed, the mild-mannered Saanen is a consistent quality meat producer, as well. 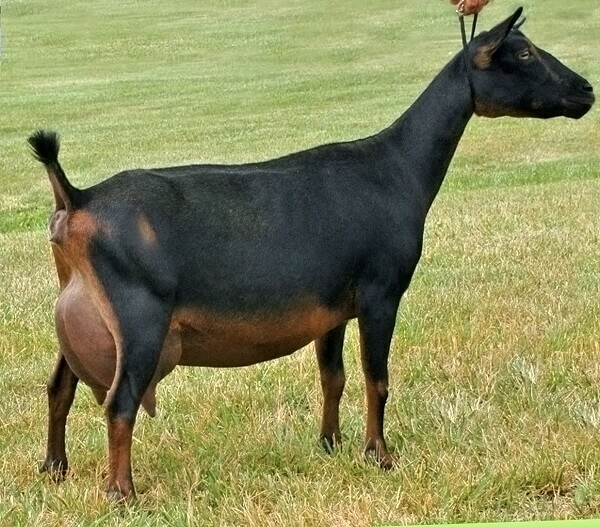 This is another one of the most popular meat goat breeds. They are an Australian breed and are bred in great abundance in the Land Down Under. Rangeland goats are wide, tall, and have short hair – part of the reason they are so hot-climate hardy. Even when subjected to harsh terrain and dry living conditions, Rangeland goats are still able to thrive and reproduce at quality rates. Rangeland goats are often cross-bred with Boer goats to produce a heavily meaty animal. 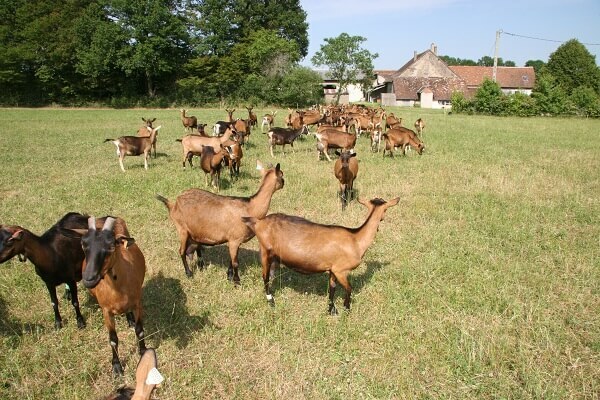 These Switzerland native dairy goats produce a rich creamy milk with a 3.6 percent fat content. Oberhasli goats regularly provide around 1.5 gallons of sweet milk daily. Because of their smaller build, the Oberhasli is ideal for preppers who live on small acreage. While their meat is not exceptionally moist, it does have a pleasing flavor. Members of this goat breed typically reach about 145 pounds when mature. Although primarily kept as a dairy goat, a Sable can provide flavorful meat, as well. 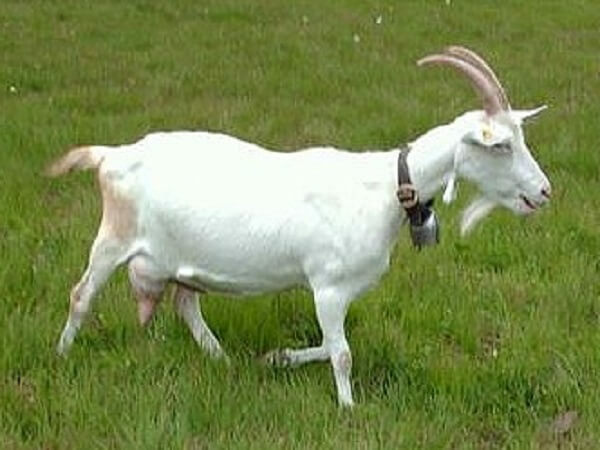 Sables are an adaptation of Saanen goats. Milk from a Sable nanny will contain between three to four percent fat. Few goats of this breed are currently being raised in the United States, but it is worth the search to find them. This Bangladesh dual purpose breed is easy to care for when allowed to exercise its natural tendencies. The 25 million or so Black Bengal goats currently being raised in Bangladesh browse for their meals a lot exclusively. Typically, Black Bengal goats throw twins or triplets when they reproduce twice annually. Spend an hour or two learning as much as possible about the goat breeds you are thinking about purchasing before whipping out your cash for a breeder. Finding a cheap and healthy goat to add to the survival livestock in your barnyard is not as important as finding the right breed(s) of goat. 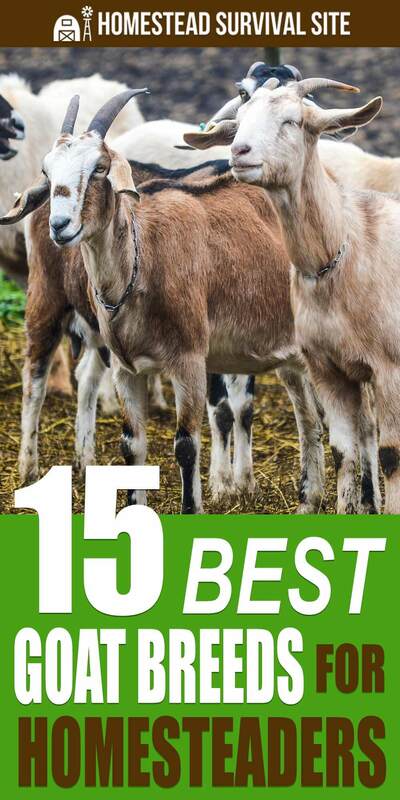 The hardiness of the goat breed and its ability to both reproduce and feed itself are exceedingly more vital to your overall survival plan than saving a few bucks. 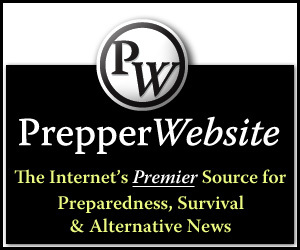 Consider the climate in your region along with natural disasters or extreme weather patterns that have and are most likely to occur. You must find a goat breed or breeds that can provide for themselves and remain healthy with minimal human intervention. Once you have narrowed down the breeds that are most likely to survive an SHTF event, either short or long term, it is time to decide if a dual purpose breed or both meat and dairy breed should be on your shopping list. 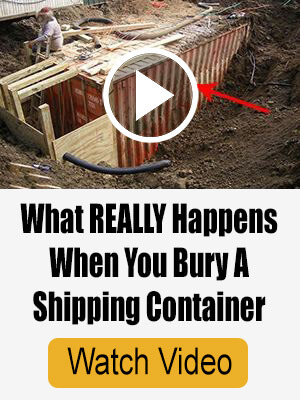 The answer to this question will largely be determined by both your available space and budget. If space is at a premium and your budget will only stretch so far, consider purchasing a meat Billy goat and a dairy nanny or doe that are known to be compatible for breeding. For example, Pygmy and Nigerian dwarf goats. This way, you get the best of both worlds without crowding two different goat herds into a small space – which can quickly prompt disease concerns. Remember that you may need a goat pen that allows you to separate the Billy goat from the nanny and does except when you want them to breed. 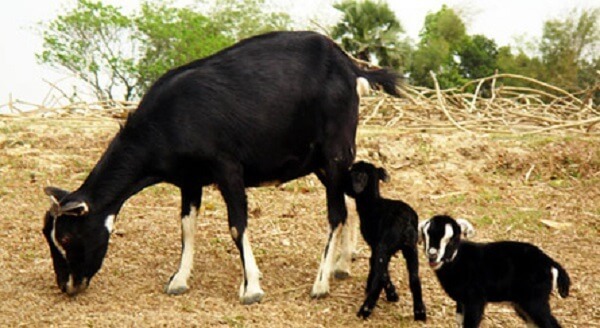 Overbreeding of either male or female goats can cause health problems and early onset infertility. Goats are herd animals, so keeping wethers with the Billy goats is highly recommended.